As an Executive-in-Residence, Dr. Jurij Paraszczak establishes intellectual connections between CUSP and NYU faculty, sharing years of industry expertise leading urban research efforts and international site development. Dr. Paraszczak’s advice as a recognized technology industry leader will be invaluable in contributing to the intellectual life of CUSP, and in developing its technological capacities and growing its global reach and partnerships. He is also supporting NYU’s Senior Provost for Research to develop programs between the university as a whole and industry. Prior to his retirement, Dr. Paraszczak was the Director of the Research Industry Solutions and Smarter Cities program at IBM, where he helped global cities manage the demands placed upon infrastructure through research, and the optimization of the flow of resources and citizens through the city. He was responsible for the coordination of 10 global IBM Research Laboratories to address the opportunities cities increasingly face worldwide, and led projects in over 20 cities in the last 3 years. Dr. Paraszczak also held prominent positions at IBM to grow entrepreneurial efforts. He was Chief Technology Officer of the IBM Venture Capital Group as well as Director of Technology for the IBM Research Emerging Business Group. Dr. Paraszczak identified and harvested innovation for IBM’s solutions and products, which helped IBM establish strong relationships in the venture community, drive integration, startup acquisition and grow venture strategies. 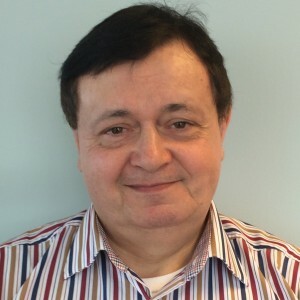 In his career, Dr. Paraszczak also contributed to academia and industry with over 55 publications in various areas of telecommunications, technology and systems, and holds over 18 patents in many fields, from communications and plasma chemistry, to smarter city analytics and chip fabrication. He earned his PhD and BSc from the University of Sheffield, UK.